industrial applications as well as more economical models designed for light home use. 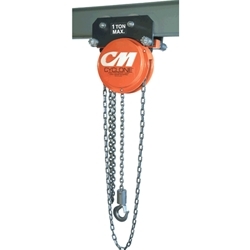 View our inventory of hoist brands below. If you need assistance selecting the right hoist for your needs be sure and check out our recommendations page. If you are still unsure, call or e-mail one of our e-quipment experts. We will be happy to help you. Other available capacities (in tons) include: 1/16, 1/4, 1/2, 3/4, 1-10, 12, 15, & 20 ton. Representatives are available 24/7, email us for immediate assistance or call us Toll Free at 1.800.835.2223.